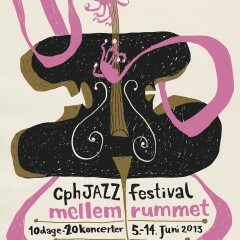 This year’s Copenhagen Jazz Festival will once again include twenty concerts at the non-profit venue ‘Mellemrummet’ situated in lovely Ravnsborggade, Nørrebro. The 2013 program presents twenty highly interesting contemporary jazz groups, featuring numerous top names and introducing fresh talent as well. The program has been curated and booked by SG. It presents two daily concerts at 17.00 and 21.00 from July 5th to 14th . 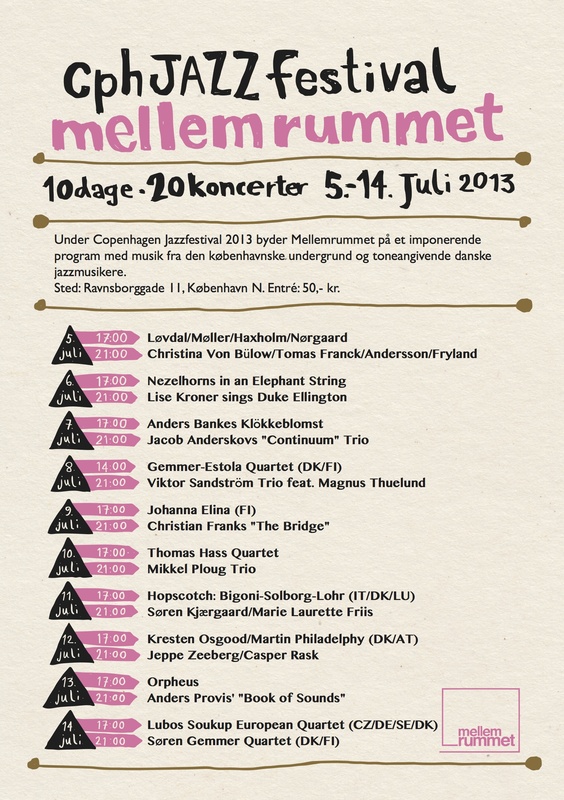 It sets an even higher artistic standard than the 2012 program at Mellemrummet, which was an overall success and provided Mellemfolkeligt Samvirke/ActionAid, a non-profit organization, with funds for their work in developing countries. As a special feature Mikkel Schrøder Dysted, radio host from RadioSyndikatet, will do live radio broadcasting and interviews from Mellemrummet during the festival. Also Kresten Osgood, the legendary Danish drummer extraordinaire, will do a live recording of his concert with Austrian guitarist Martin Philadelphy.